I have been working hard on my 2015 range. Hiro has made this poster, and Hannah Radley Bennet has taken many of the photographs, with a few also taken by Hiro and Edie Telle Nakata! My ponchos have been my best seller for years. I made the first one for the summer holidays many years ago, to keep me cosy after a day at the beach. I only have a very few selected outlets, and I am working on starting an online store. My bags will be available in ‘egg’ this year. 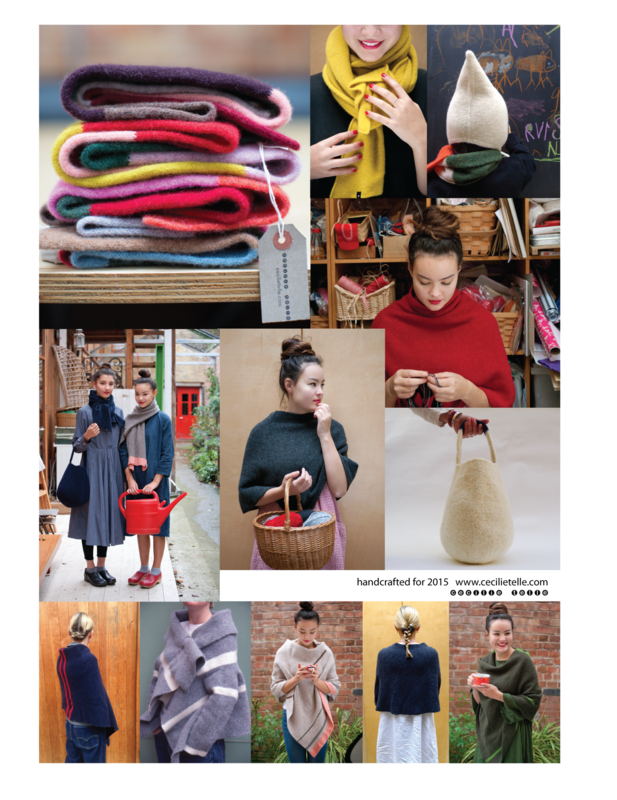 Starting next Tuesday evening at Steiner House, I will be teaching Fair Isle knitting. I have always thought that whilst learning new things you should make something useful you can take home with you, so we will be making hats! Below you will find the course description. Please e’mail me to book a place on the course. 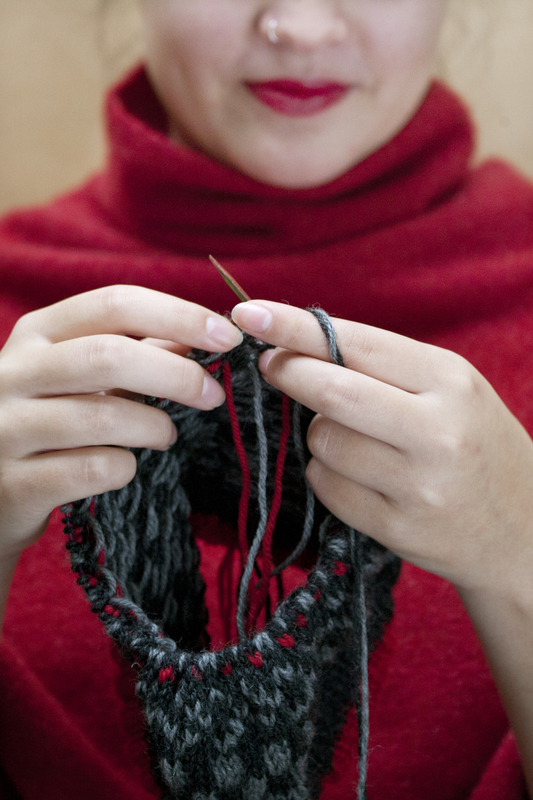 Skills needed: Basic knitting skills including casting on and off, and knit and purl stitches. Dates: Tuesday evenings: March 24th, 31st and April 14th. Many years ago I had a few Birch Bark Bags made. The largest one was a replica of one my Grandfather made, to go fishing with my Father. 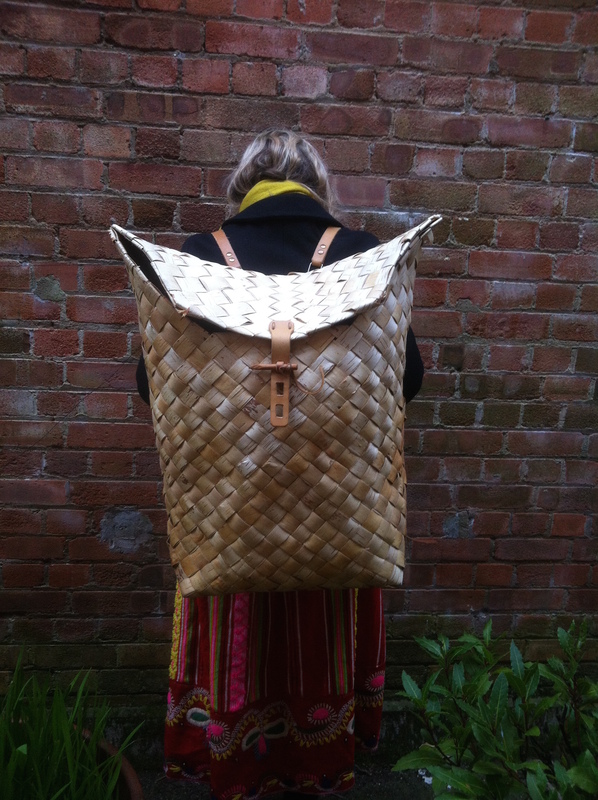 I use this rucksack to transport all my craft materials these days, from one class to another. I get stopped on the street regularly by all sorts of interesting people because of my bag. It seems to cross all boundaries of Race, Age and Gender. This traditionally made basket speaks to people. It is a real joy to carry it around and be inspired by all the lovely people I meet. 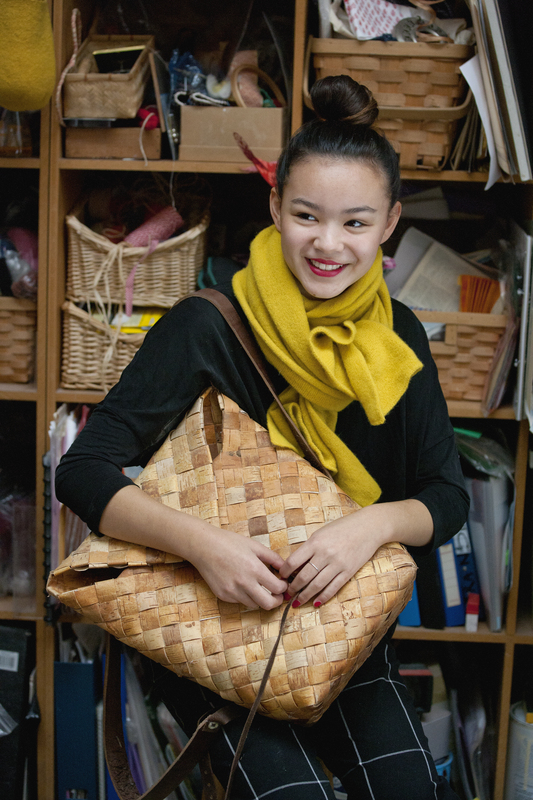 I have learned that the traditional skill used to make this bag is used in Ghana and South America as well as Scandinavia. People use different materials but very similar techniques to make utilitarian goods all over the world! 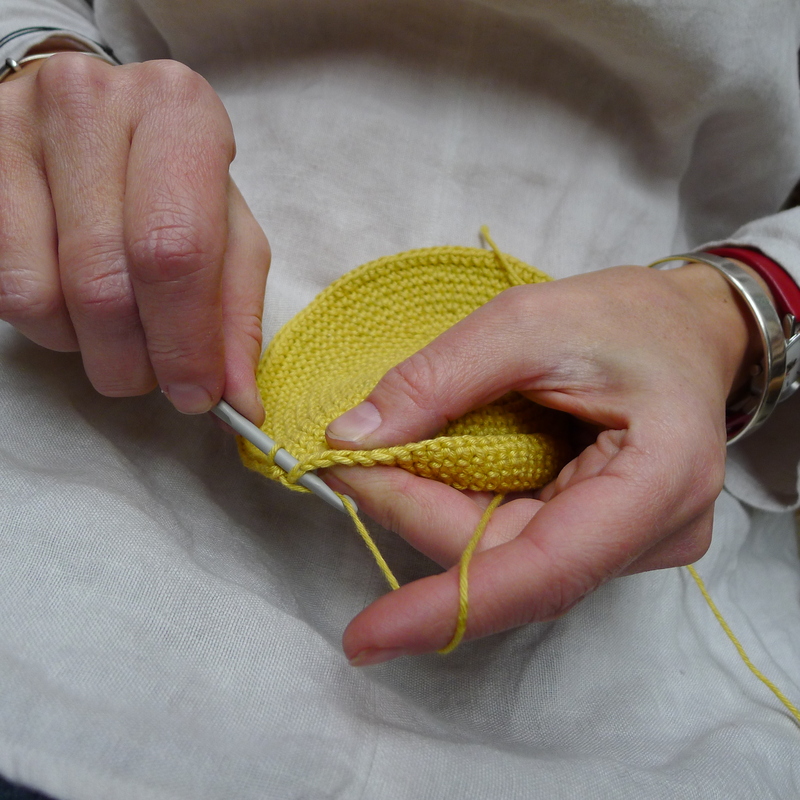 I am really enjoying teaching a small crochet class at Nest, as well as sock knitting at Loop and Steiner House. It is so wonderful to meet so many interesting people, and sharing skills and knowledge. My work as a Basketmaker in the Cambridgeshire Fens.